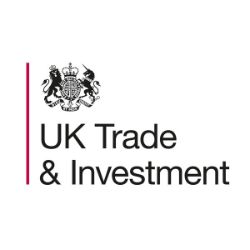 The UK Trade & Investment (UKTI) agency is encouraging increased investment from UK firms in the emerging opportunities in the Ghana, Kenya, Uganda, Mozambique and Tanzania oil and gas industries. According to the UKTI, opportunities exist for UK companies to get involved early and work to develop these new opportunities in Africa where the untapped basins and reserves are becoming more accessible as improvements to infrastructure are made. Speaking at a recently held East and West Africa oil and gas seminar, Dr. Vince Cable MP, Secretary of State for Business, Innovation and Skills indicated that the UK has been working closely with local African governments to locate and establish sustainable and profitable opportunities. “UK oil and gas is organized, ambitious and working well with government to maintain long term competiveness via the industrial strategy to maximize production of UK oil and gas resources and sustain and promote the UK supply chain here and overseas,” he said. The UKTI office in Dar es Salaam works with companies in Britain to increase their competitiveness through overseas trade in Tanzania and also works with Tanzanian companies looking to locate and expand in the UK.